Finally putting out the Joe’s Pub footage after all these months! 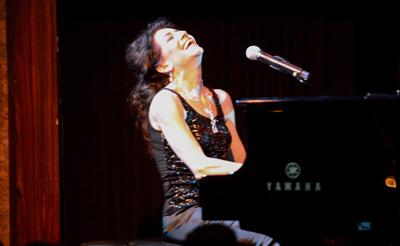 We got a rave review of the show – “Valerie Ghent is a True Rockstar at Joe’s Pub“ – and am thrilled to begin to share the live videos. The band was rocking and the audience outstanding! The night was even more magical because I had considered canceling after waking up at 4am with swollen glands the size of a golf ball and a terrible sore throat. But I steamed my throat and lungs all morning and decided to go ahead. Am so glad we did! In the coming months I’ll be going through the rest of the footage and posting more videos from our show. And guess what? This is the first video I’ve edited all by myself. Enjoy!